In some other leagues, this weekend is just another one. But it’s not the same with the Premier League. With 3 derbies set to be played, the PL is set for a different kind of weekend. All three of those derbies will be played on Sunday! What a Super Sunday! 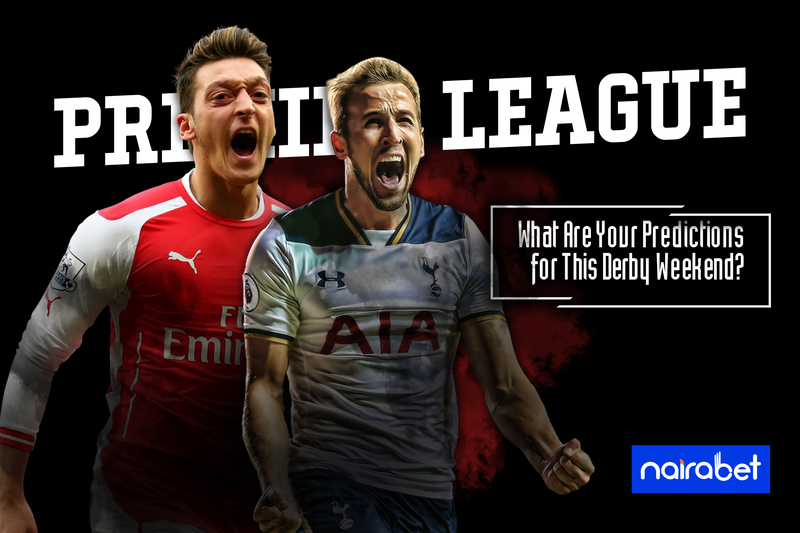 Let’s quickly take a look at these three derbies. The Blues lost their first game of the season in bizarre fashion against Tottenham. Sarri’s men suffered against Tottenham’s high pressing game. It was more like exposing the weaknesses of what had looked like a formidable side. For Chelsea, they are still unbeaten at home. With their unbeaten record gone, they will aim to continue their fine home run with a win over Fulham – a side that has not won any away game this season. Chelsea has scored 15 goals in 7 home games. Fulham has conceded 18 in 7 away games this season. The stats say Chelsea should score at least 3 goals in this game. Click here to predict and win. The last time Spurs played a Premier League game, they tore Chelsea’s unbeaten run to shreds. Up next for Pochettino’s men is yet another side on an unbeaten run. But this game comes with even more incentive as it is against a bitter rival, Arsenal. The game has not even started but the controversies surrounding the game have sprung up. And it seems like Arsenal’s unbeaten run may have well come to an end, no thanks to the official who will be in charge of the game. In the league, Arsenal has only lost one game this season. Away from “home,” Spurs have also lost just one game. Both sides have conceded an average of less than one goal per game in these games. Can both teams score in this game? It’s the first Merseyside derby of the season. This is one fixture that has been largely dominated by the Reds in the past. The past seven meetings have seen Liverpool either win or draw. The Blues always go back home empty-handed or almost empty-handed. It’s Liverpool’s 7th home game of the season. They’ve won 5 of the 6 played, with just one ending in a draw. Everton’s 7th away game of the season will come with a lot of set goals. While looking for a rare win at Anfield, they will also look to keep their position above Manchester United on the table. Everton to win has been priced at 8.00 odds on NairaBET. Everton’s last 5 games have seen them win 3, draw 1 and lose 1. Can they pull a surprise at Anfield this weekend? Remember, it’s MatchDay 14 in the Premier League. 7 other games will be played. But these three will be the centre of focus this weekend. Who are you backing this week? What are your predictions? Leave us your comments and share your thoughts with us. 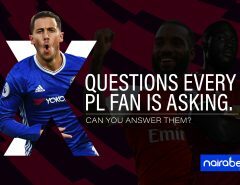 3 Questions Every PL Fan is asking. Can You Answer Them? Can Arsenal Still Finish in the Top Four? What’s So Special About NairaBET’s Special Bets? Who Has Been the Best Player in the Premier League This Season? admin on Can Arsenal Still Finish in the Top Four? Peter Ajuogu on Can Arsenal Still Finish in the Top Four? admin on One Game Cut Your Ticket? Don’t Worry, Nairabet Will Still Pay You!